More than 900,000 children die of pneumonia each year (more than malaria, measles, and HIV/AIDS combined), according to the World Health Organization. Many of these cases go undiagnosed and untreated. How can this be when we know what works? A five-day, twice-daily amoxicillin regimen—in either dispersible tablet (DT) or oral suspension form—is the best pneumonia treatment for children under the age of five. It is a simple treatment and costs only USD 0.21-0.42 per course. Why, then, are children still dying of pneumonia? What can we do to reduce pneumonia deaths to the levels required to achieve the new Sustainable Development Goals and the Global Strategy for Women’s, Children’s and Adolescents’ Health? First, we need to get children to a provider who can diagnose pneumonia. Typically, a diagnosis requires expensive technological solutions that may not be accessible or available to children in need. Much needs to be done to make an effective diagnosis more available locally to reach those most at risk. UNICEF and its partners are working to make easy-to-use devices available that enable accurate respiratory rate counting for diagnosing pneumonia in children. Once a child is diagnosed with pneumonia, he or she has to be able to take amoxicillin, the antibiotic of choice, which means it needs to be in the form of DTs or an oral suspension. SIAPS has worked to help countries revise their essential medicines lists to include amoxicillin DT so it is more likely to be part of a national procurement. In addition, at the country level, amoxicillin DT needs to be registered and have the necessary regulatory approvals to ensure quality. To ensure enough amoxicillin in the system, needs must be accurately estimated—a process that requires good data from a solid information system. SIAPS supported the Ministry of Health in Mali to set up a dashboard to monitor the availability of maternal and child health products at the central, regional, and district levels of the health system using information from the national Logistics Management Information System, which includes data from the most peripheral level—community health providers. These data are used to make decisions on the distribution of products as well as procurement to ensure product availability, including antibiotics for pneumonia. Antibiotics already exist in many communities in low-income countries through illegal drug vendors, shops, kiosks, and other outlets and are often of poor quality or inappropriately used. 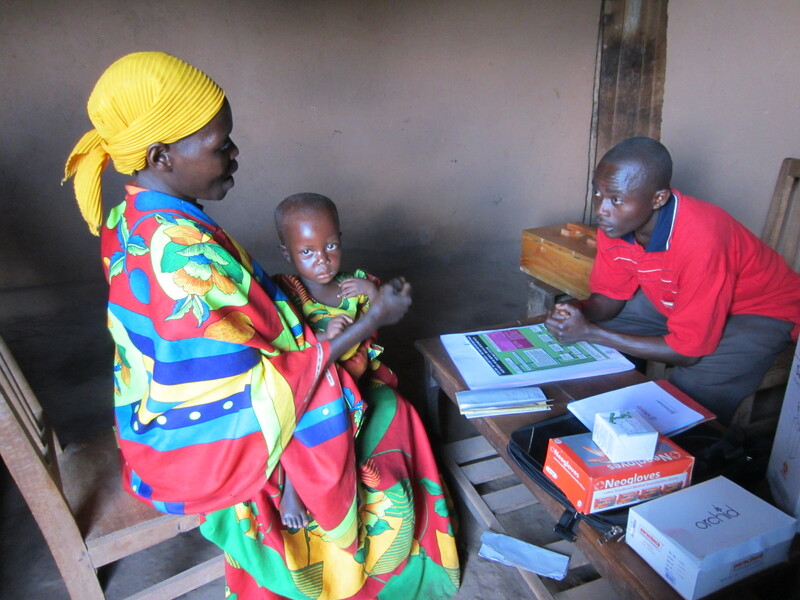 Integrated community case management (iCCM) is an evidence-based recommended strategy to increase children’s access to rational treatment with quality medicines. Community health workers are the cornerstone of iCCM and need to be appropriately trained in both case management and simple supply chain management tasks. Effective supervision, monitoring, and support are critical to help ensure best treatment practices with quality products and reduce the likelihood of antibiotic resistance through inappropriate use. Although amoxicillin treatment is relatively simple, dispensing envelopes and job aids, such as those piloted by SIAPS in Democratic Republic of Congo, provide useful reminders to facilitate adherence to the recommended dosages for health care workers and provide guidance for caregivers on how to administer the lifesaving treatment in the home. Administering amoxicillin incorrectly can lead to treatment failure and increase the potential for antibiotic resistance. By working with community health workers to improve case management at the community level, strengthening the systems on which the community health workers depend, building local capacity, and expanding access to amoxicillin, SIAPS is helping to ensure universal access to pneumonia prevention and care. While amoxicillin is a relatively inexpensive treatment and can be procured from local or regional manufacturers, many countries still face a significant resource gap in stocking it. This shortfall needs to be accurately estimated and addressed using resource mobilization strategies, partnerships, and opportunities, such as the Global Financing Facility. SIAPS further contributes to the fight against childhood pneumonia by ensuring that best practices are incorporated in global policies by participating in global technical working groups, helping to develop and validate technical documents and resources, and maintaining the awareness of pharmaceutical systems issues in global technical discussions. A comprehensive systems approach such as that adopted by SIAPS—strengthening governance and regulatory systems, information networks, human resource capacity, service delivery and financing approaches—is essential in ensuring that a child with pneumonia is treated and survives.